Muskoka cottage rental Listings are found below. The properties we have vary in price due to location and amenities. As you know Ontario summer vacation memories are affected by the property so visit it and compare it to the photo, ask for references, personal recommendations from friends and family are best, ask specifically what is included in the rental -boat, golf course access, etc. Who do you contact if something is broken or there is no propane for the barbeque- how do you safely light the BBQ or the pilot light on the hot water heater? Remember that your rental money is to use the facilities, so treat them as your own so you can enjoy the rental season after season. Happy cottaging and here’s to great weather and a great season. Warning for cottage owners: Beware of potential “scams” – communication from potential renters, particularly offshore, especially if the renter wants to send more than the required fee and asks that the extra payment be forwarded to a third party. Be sure that all cheques have cleared your bank before finalizing transactions. Life can’t get any better than a cottage in Muskoka. Ontario. Please remember to treat the rental cottage like it is your home, they are a treat to be enjoyed. Terrawoods is located on Horseshoe Lake, minutes from Parry Sound, Ontario. We offer renovated housekeeping cottages, rooms, and full facilities. Close to Burkes Falls and Algonquin park offering RV Trailer and Tent camp sites. Sand Lake Cottages and Inn: near Algonquin Park. This charming property includes 7 cottages with 1 to 4 bedrooms, sleeping 7 to 10. All units have satellite TV, kitchen appliances, large decks with BBQs, a complimentary canoe and other water craft. The property has beautiful gardens, a great beach, outdoor hot tub, water trampoline and a children’s playground. Algonquin Lakeside Lodge is Located on Oxtongue lake, just 7 kms from Algonquin Park west gate. Cottages, rooms and suites, all clean and recently renovated. Licensed restaurant and lounge. Bartlett Lodge has operated since 1917 in the middle of Algonquin Park on Cache Lake. Log Cabins. Beauview Cottage Resort is a friendly and unpretentious resort, with 6 cottages, set on a quiet bay. Birch Haven Resort, is on Lake of Bays, Ontario, near Dorset, is open all 4 seasons, tel 1-800-267-8841. Snowmobile resort. Blue Spruce Housekeeping Resort – Oxtongue Lake, updated cottages, suites and studio Rooms on Oxtongue Lake at the edge of Algonquin Provincial Park. Blue Moon Retreat is a unique, four seasons resort of only 6 self-catering cottages/houses on 20+ acres on peaceful Purdy lake close to Algonquin Park, Ontario Canada. Bondi Village Resort Located near Dwight, on Lake of Bays, open year round. An excellent location for snowmobiling and close to Algonquin Park. Clevelands House another crown jewel Lodge on Lake Rosseau. Incredible recreation facilities, quality accommodation. If you have high speed access, check out their flash site. Tel (888) 567-1177 Kids love it! 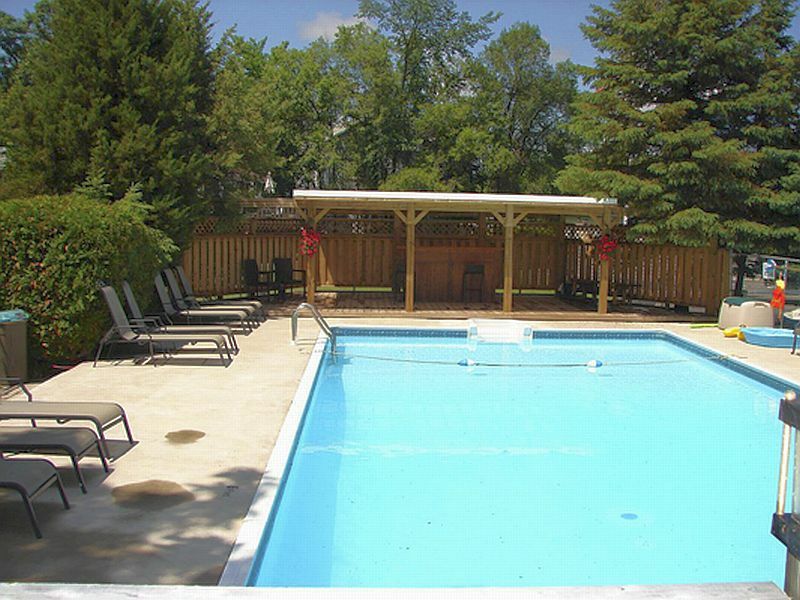 Fern Resort Located on Lake Couchiching, near Orillia, offers excellent family accommodating and entertainment. Tel: 1-800-567-3376. A very Fine Muskoka Family Lodge. The Grandview Inn Serving guests in Muskoka since 1911, this top inn keeps rediscovering superior service in a tranquil setting on , in the heart of Muskoka Lodges. The Gryffin Lodge on Mary Lake, Lodge and Cottage rentals, 1-800-565-7491. The Lake Joseph Club on Lake Joe, is one of the Premier resorts for golf, accommodations and dining. 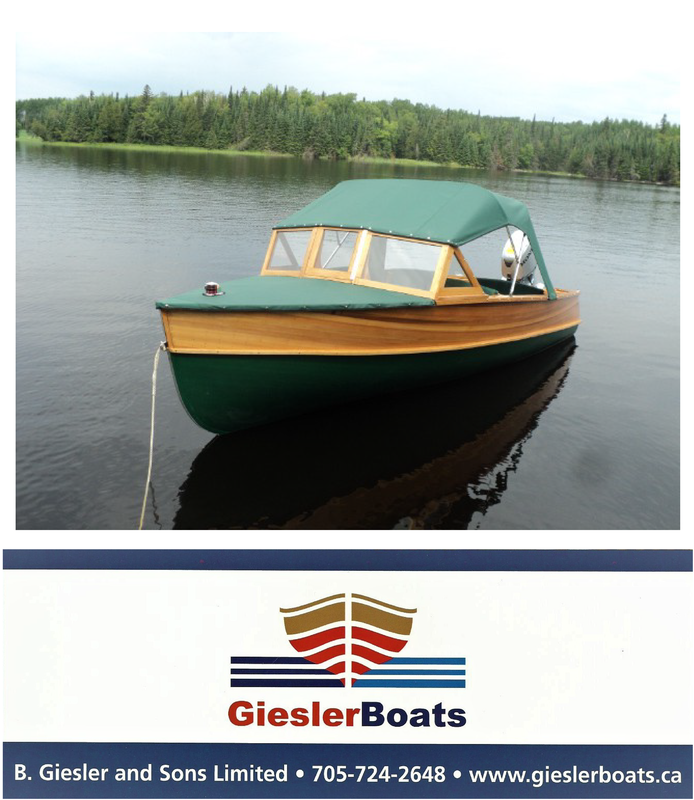 Visit the The Water’s Edge Wine Bar & Grill to see the finest wooden boats in Muskoka cruise by. Now renting executive cottages to the general public. They are currently offering an interesting special that is a great offer for golf and accommodation in the three bedroom villa. Nice. The Logging Chain Lodge and Cottages is on Lake of Bays near Dwight. 12 km to Algonquin Park. Lumina Family Resort since 1921 this is now the largest resort on Lake of Bays offering an extensive children’s programs. Conference facilities in September / October. Nor’Loch Lodge Resort Lake of Bays, an all season Lodge Resort. The Norsemen Paignton House Minett 1-705-765-6825. An interesting Muskoka lodge that has been operating for generations. Patterson-Kaye Lodge Bracebridge 1-800-561-6998. A true Muskoka Lodge. Pine Stone Inn in Haliburton is a wonderful summer experience that has all the amentias of a top resort. Golf, tennis, children’s program. Port Cunnington Lodge on Lake of Bays since 1890 offers traditional style cottages, new Muskoka cottages / chalets, and best of all – a great place to get married outdoors – I DID ! Port Cunnington has traditional Muskoka cottages that are beautiful. Weekly rentals only June to Sept.
Shamrock Lodge on Lake Rosseau, updated in 1996, main lodge and cottages, golf privileges at Port Carling Golf and Country Club. Port Carling 1-705-765-3177, So visit this Muskoka Lodge & golf. Skelton Lake area House keeping cottages that are reasonable in costs and lots of fun for the whole family. Spring Lake Resort – Motel & Restaurant Overlooking Spring Lake with activities for the family. Windermere House Inn Updated in 1996 after a fire, this Grand beauty with the magnificent porch overlooking Lake Rosseau. Fine Dining and in-house golfing are just some of the fine features of this Muskoka retreat. Tel 1-888-946-3376 . Another Muskoka Lodge that needs to be visited by boat. The Tally-Ho Inn on Peninsula Lake. Attractive modern accommodations, full kitchenettes, licensed restaurant. Located beside Arrowhead Park and just 30 minutes to Algonquin Park. Snowmobiles are welcome. Motel and cottages in Haliburton Highlands. Ice fishing, fish huts, boat rentals, fall colours, snowmobiling, mushroom picking, on scenic Hwy 35. A four season wilderness retreat nestled on 120 acres of rolling hills in the Almaguin Highlands. A 1800’s farmhouse converted to an Inn, groomed trails for hiking, mountain biking and cross-country skiing. Beautiful gardens. A family motel located 3 minutes south of Huntsville, offers accommodations and a licensed restaurant. A swimming pool, children’s playground and a meeting room that accommodates 20 people. These rooms are spacious, and comfortable, our meeting and banquet rooms can be arranged to your requirements, and offer 3 choices for your dining and relaxation pleasure. Rainbow Inn & Conference Room conveniently located in downtown Huntsville. Attractively decorated rooms with double beds, cable TV, microwave, fridge & phone. Muskoka Flag Inn – A fine pub, comfortable accommodations with a dining Lounge. They offer grass and clay tennis courts in summer, and are located on main trail for snowmobiles. Their located in Port Sydney Ontario. The Nordic Inn – Dorset, Ontario The bed & breakfast place on Highway 35. Muskoka-Haliburton accommodations and licensed restaurant with 10 acres of wilderness trails. The close to Algonquin Park offers modern, clean & comfortable rooms and suites – views overlooking the private beach on Spring Lake and activities for the family. SEVERN SHORES BED & BREAKFAST, Host Mrs. Durrant Tel (705) 689-8619 EMAIL severn@infinity.net >Looks like a very nice place, and they own a triple cockpit Port Carling Seabird. Nice!! Century House Bed and Breakfast 3 rooms in a Victorian farmhouse located in Bracebridge. Tallyho Inn Resort – close to Huntsville Peninsula Lake from all units & cottages. Newholm & Breakfast Ecostery – South of Huntsville 5 minutes from Lake of Bays, modern passive solar country home in a Muskoka parkland setting with a pond. A four season wilderness retreat nestled on 120 acres of rolling hills in the Almaguin Highlands (20 minutes north of Huntsville, Muskoka). Offering stress-free pioneer atmosphere, 1800’s farmhouse and 4 room Inn, 12 km groomed trails for hiking, mountain biking and cross-country skiing. Muskoka Moments & Breakfast and Cottage Court on Lake Vernon. Offer year round B&B as well as 4 fully equipped cottages on site from May – October. Forest Rock Cottages on 3 Mile Lake near the village Windermere on Windermere Road. They have 20 cottages, 1 to 3 room rustic cottages, each with a beautiful view of the lake. Pets welcome. Algonquin Trails Camping Resort – Dwight Family campground or rental accommodations at the West Gate to Algonquin Park. Offers children’s playground, indoor pool, mini golf and planned activities. Wolfden Bunkhouse is located 83 Morgans Road,Huntsville Ontario and they offer cabins and bunkshouses & large lodge for rental all seasons. Close to Muskoka Outfitters near Algonquin Park. Lakeside Lodge Resort on Rosseau on Lake Rosseau, offering self-catering cottages, restaurant & lounge. Modern new cottage on the edge of Ontario’s famous Algonquin Park The Pinery Guest Cottage: luxurious, private accommodations for discerning guests. Perfect for couples. Logging Chain Lodge Cottages – Dwight on Lake of Bays between Huntsville and Algonquin Provincial Park. Located on Lake Vernon offers an informal atmosphere and a variety of activities year round. Key To Algonquin Campgrounds and Cabins on the Oxtongue River, new log cabin, 15 camping and canoeing sites. Timber Trail Algonquin on the Oxtongue River, 10 cabins,restaurant & country Market. Housekeeping cottages and camping sites where the fun never ends! We are close to Huntsville and Algonquin park offering RV Trailer and Tent camp sites. The perfect setting to relax & reflect on Lake Vernon. We offer year round B&B as well as 4 fully equipped cottages on site from May – October for your family getaway. Sandy beach/ boat rentals/ fishing/ campfires + many local activities & attractions. Small housekeeping cottage resort in northeast Muskoka between Port Carling and Parry Sound Ontario. Licensed restaurant, swimming, fishing, boat rentals. & Breakfast, Cottages and Cabins on 30 private acres overlooking Lake of Bays in beautiful Muskoka. Modern Cottages, Suites and Studio Rooms on Oxtongue Lake at the edge of Algonquin Provincial Park. Located on the Hollow River offering boating on Lake of Bays. Many attractive modern Park Homes for rent by the day, week and month. The Valley Inn – your own private Inn – 6 rooms, sauna, hot tub and complete kitchen; available to groups for short & long term stays. The lounge area is over 1600 sq.ft., Ideal for meetings and seminars.